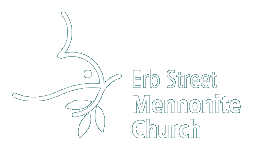 Erb Street Church had its beginnings with a group of Pennsylvania Mennonites (the “German Company”), who bought 60,000 acres along the Grand River from Richard Beasley in the first decade of the nineteenth century. Before their arrival here, the Mississauga (Ojibwa) called the area home. One of these Mennonites, a young bachelor named David Eby, arrived in 1807 along with the party that included Joseph Schneider (of Joseph Schneider Haus National Historic Site, Kitchener). Not much is known of David. Waterloo Township’s nineteenth-century biographical historian, Ezra Eby, recorded that before marrying Elizabeth Bechtel in 1810, David worked for a while clearing land for Peter Erb near what is now Bridgeport. The Ebys set up their farmstead on David’s land purchase, German Company Tract lot 32, where Erb Street West and Fisher-Hallman Road intersect today. It was about two miles from Abraham Erb’s mill (later, King and Erb Streets, Waterloo). In her book Waterloo Township through Two Centuries, Elizabeth Bloomfield notes that by 1831, a hundred acres of the 190-acre Eby farm were cultivated. 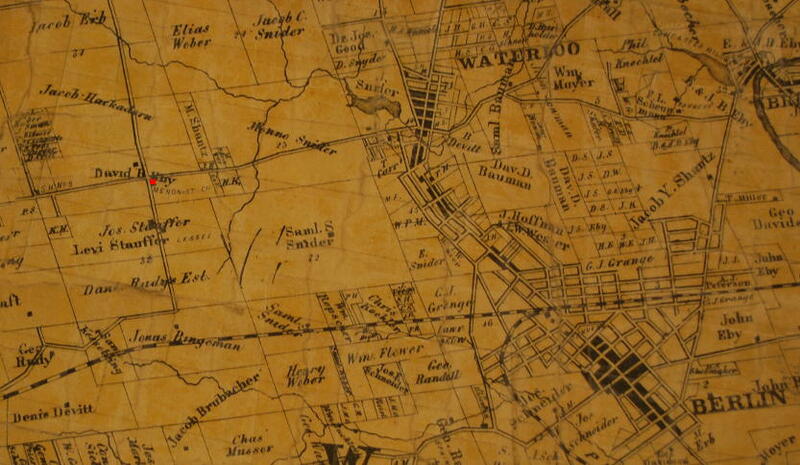 Part of Tremaine’s Map of Waterloo, Canada West, 1861. Shown in red is the forerunner of Erb Street Mennonite Church, the David Eby Meetinghouse at what is now the interection of Fisher-Hallman Road and Erb Street West. Region of Waterloo Archives Collection. The Ebys were not alone in the neighbourhood out there along Erb’s Road. Enough Mennonites lived in the vicinity by the mid-1830s for a preacher to be scheduled to lead worship at “David Eby’s” every fourth Sunday. As tradition has it, the services were held at the Eby farm. For the Mennonites, scheduled Sunday worship rotated weekly within several groups of loosely-clustered localities. Members and preachers traveled to different meeting places depending on the week. Mennonite “congregations” in today’s sense of the word – smaller groups associated with single places of worship – did not exist. Ideally, it was a localized Mennonite membership distributed across a given geographical region that made up the church. At this time in Ontario, these groups were centered in the Niagara, Markham, and Waterloo areas, and made up the Ontario conference. Part of Tremaine’s Map of Waterloo, Canada West, 1861. Shown centre-left is the forerunner of Erb Street Mennonite Church, the David Eby Meetinghouse at what is now the interection of Fisher-Hallman Road and Erb Street West. Region of Waterloo Archives Collection. Worship meetings continued at the Eby place until 1851, when a new brick meetinghouse was built on the Ebys’ land, across the intersection from their farm. Erb Street Mennonite Cemetery currently occupies the spot, at the corner of Fisher-Hallman Road and Erb Street West in Waterloo. Differences arose within the Waterloo area Mennonite community in the second half of the nineteenth century. Some wished to adopt new church styles; others wished to retain more traditional methods. In the resulting 1889 schism, the Mennonites in Ontario split into the Mennonite Conference of Ontario (modernizing) and the conference of “Old Order” Mennonites (traditionalist). The David Eby meetinghouse remained in the hands of those who held with the former group. Mennonites in the David Eby neighbourhood, as elsewhere, probably had begun to develop an increased sense of congregational identity by that time. This would have arisen thanks to the influence of new spiritual, worship, and structural models adapted from other denominations, especially by the young. It would have arisen thanks to strong, home-grown leadership, and charismatic personalities in the church. 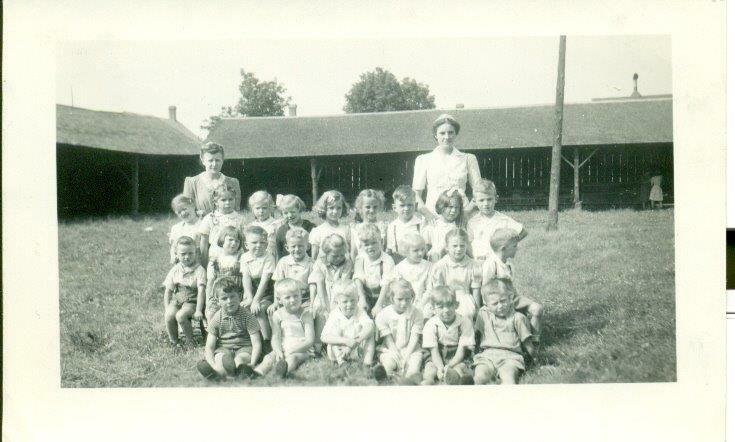 And it would have arisen out of the more-frequent scheduling of church rites and new programs, such as communion and Sunday School, right there at the little rural meetinghouse. The movement away from more traditional cultural mores and worship modes was at least a contributing factor in the decision to build a new church – the decision of a two-thirds majority achieved by the margin of a single vote. In 1902, from the remnants of their farm at what was then the developing edge of Waterloo, Samuel S. and Elizabeth Snider donated just under an acre for the building of a new church. It was built that same year after a plan by Charles Moogk, who also designed St. Louis RC Church, the Waterloo Carnegie Library, and the old Waterloo Town Hall. Unlike the meetinghouse, the church was outfitted with electric lights and connected to the power grid supplied by the Snider flourmill (the old Erb’s Mill). Also unlike the meetinghouse, there was a basement. Here the “Sunday School”, a factor in the 1889 schism, was accommodated. In fact, two of the wooden posts that originally held up the main floor can now be seen downstairs, halved and mounted as wall decoration. if a steeple and a cross were on top it would resemble a Catholic church more than a Mennonite meetinghouse! The comparison is perhaps reasonable. After fifty years in a plain meetinghouse, the steeper roof, fancy, corbelled brickwork, pairs of narrow, arched windows, and uniformly forward-facing benches with carved, fancy scrollwork might have seemed nearly Gothic by comparison. In physical movement, did the relocation to town demonstrate something of the spiritual movement of the church in that period – a time newly energized by evangelical activity and missions projects? In the more than a hundred years since its construction, the “new” church building has accumulated some interesting history. 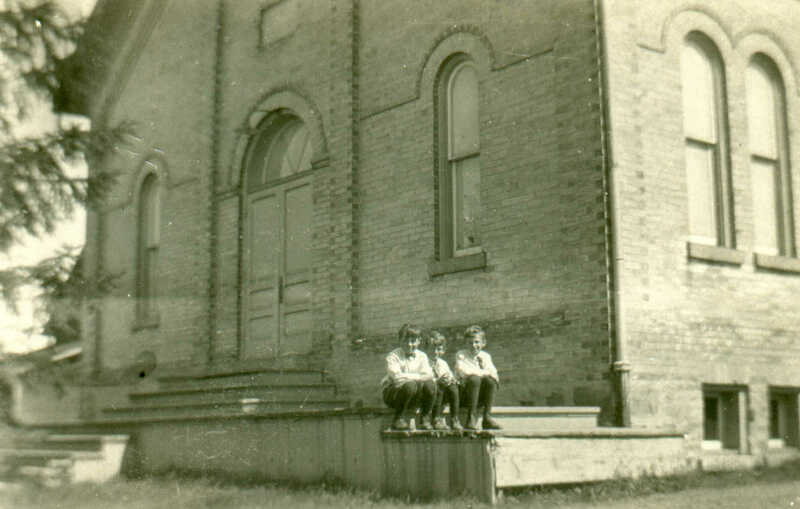 It was, in 1908, the home church of the first Mennonite women’s group to be organized in Ontario. It was, one July afternoon in 1924, the staging ground for the greeting and billeting of more than eight hundred Mennonites in flight from Russia who, after a harrowing, four-week ocean passage, walked from their train at Caroline Street to the horse sheds out behind the church, many carrying all they owned in their arms. It was, beginning in 1940, a sort of “headquarters” for the Conference of Historic Peace Churches, a multi-denominational group that worked on behalf of Canadian conscientious objectors to coordinate an alternative service program not administered by the military. The original church building underwent several major renovations after 1902. The last flurry of construction, completed in 2002, added a new entrance foyer, kitchen, library, and classrooms, and expanded the lounge, basement, and office spaces.